Q: Sebastian, your best start to a season since 2011 I believe and you’re 13 points clear in the Drivers’ standings. 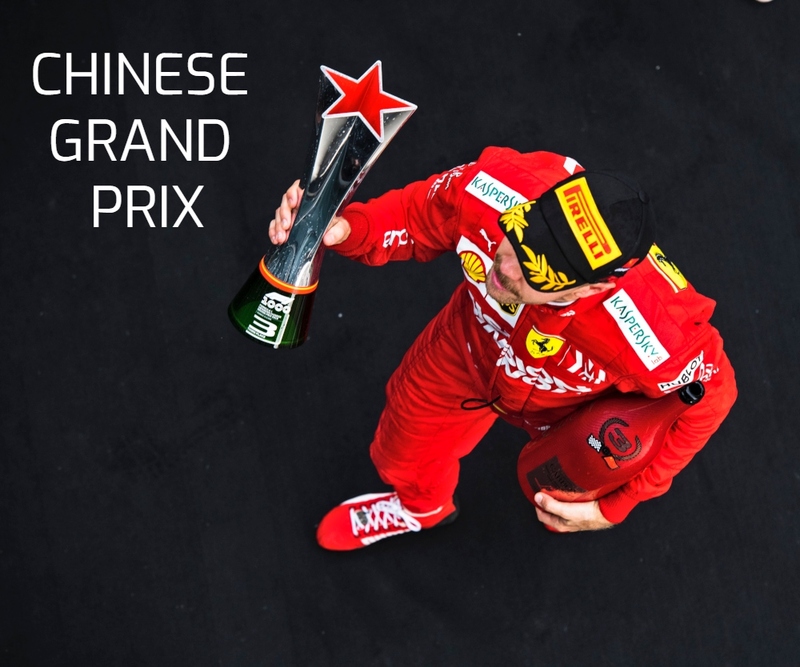 It seems that this year the emphasis has shifted from Ferrari and the others trying to find a way past Mercedes to Mercedes trying find a way past you. Is that the way it feels? Q: Sebastian VETTEL: I think we are obviously in a much better position this year than in previous years but it’s still fairly early. I think this will be an important race. As you touched on, it’s usually the time people start to bring a couple more bits, but then again, if you look at the last, I don’t know, 10 years, it’s not any more that fixed date where you bring a new car. The top teams tend to bring stuff nearly every race. I don’t know, to answer your question I don’t feel it’s like that. Mercedes obviously had a phenomenal run the last couple of years and they are still the ones to beat, not just race by race but overall they have been the dominant team and it’s difficult to break that but I think we are trying our best. Q: You mentioned the upgrades. Obviously they are going to be crucial to you maintaining your challenge. 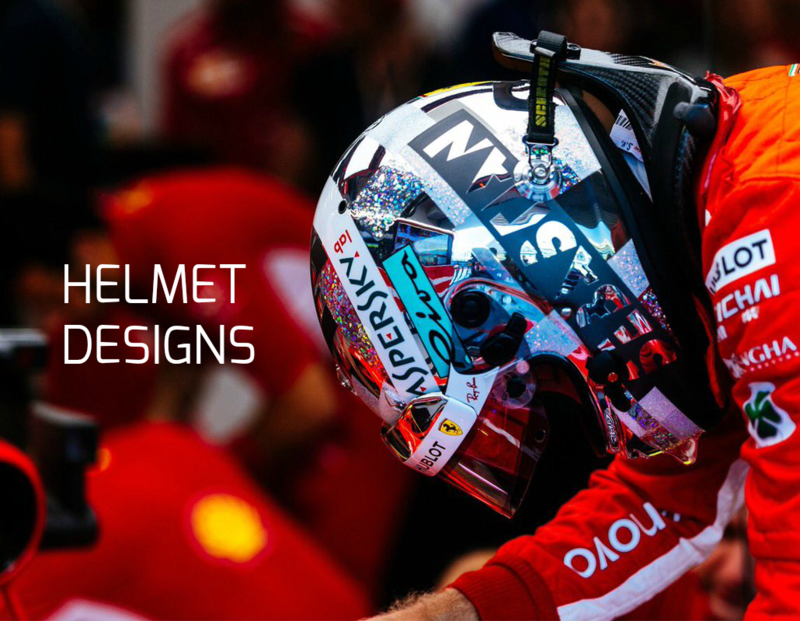 Do you have as much confidence in Ferrari’s ability to deliver the upgrades as you have had in the car they built you at the beginning of the season? SV: I think it was impossible to have any expectation going into this season because everything was so new – I think that’s fair for all of us. Plus, the year we had last year was a little bit up and down, a bit difficult, so I think we just looked after ourselves and tried to build the best car we can and I think there’s no doubt looking at the results now that we have the right group of people on board to be able to build the car you need to win races, we’ve proven that in two out of four races. But, as you said, it all matters what you keep doing. It doesn’t matter what you have done. I know that we have the same people and I believe that they will bring the upgrades we need to keep fighting. Q: Pole position in Sochi. We all know that pole is crucial here in Barcelona. Is that where you’re going to put your focus on during the free practice sessions? SV: Yeah, quali and race, so no surprises. Obviously this is a track we know very well but the conditions usually are very different when we come here in May compared to February or March. So I think you are always aiming for pole positions, so if I could choose then I would put myself on pole, but it would be fairly boring if you could choose on Thursday, so I’m looking forward to tomorrow and then the build up through Saturday. Then we try to do the best quali we can and prepare the race as much as possible as well. 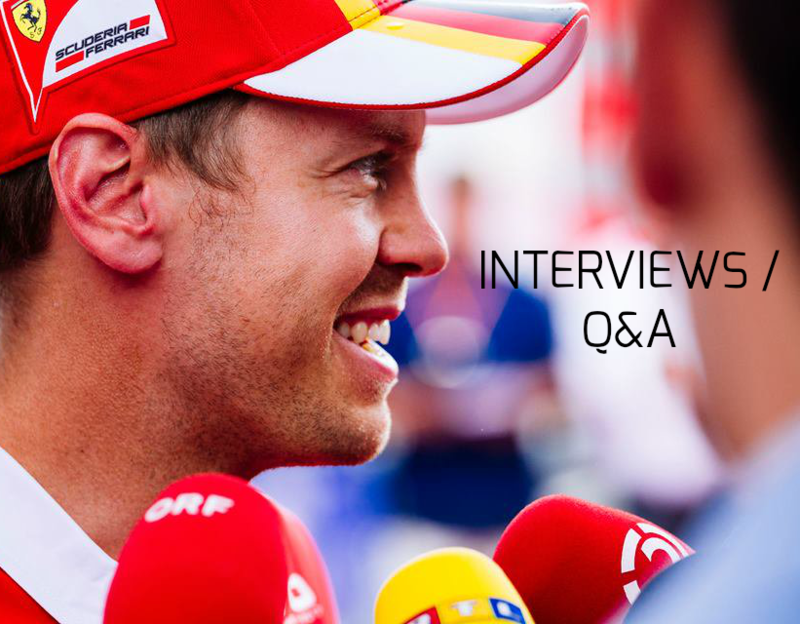 Q: (Mike Doodson – Auto Action) Seb, those last 15 laps at Sochi were pretty exciting. I couldn’t help wondering if you had caught up to Valtteri would you have been able to go past him. And I’m wondering if because the overtaking this year is even less than last year, is there any value to increasing the DRS, either the distance or the gap between cars to improve the chances. Would you have been able to overtake more easily if that had been the case? Q: (Pilar Celebrovsky – The Paddock Magazine) There has been some remarks in the Italian media saying that you may go to Mercedes for next year. Would you like to say something about it or is it something you don’t really care about? SV: I don’t know! I don’t… I didn’t know. Is it coming from Italy then? Maybe you should ask the Italians; they seem to know more than I do. I think the situation is clear. Obviously, the main focus is on this year, that’s not a secret and it’s not a line that I drop, it’s a fact for all of us inside the team. Obviously, we find ourselves in a very good position this year and that’s what we want to keep and to use. Everything else is not that important. There have also been some rumours, I think, in previous years. I don’t know. Maybe some are from Italy, some are from Germany… in that case maybe you should refer to the Italians. Q: (Ottavio Daviddi – Tuttosport) Question to Sebastian. Fernando talks about his future. My question for you, if you stay in Ferrari, are you open to have such a driver, such a personality, as Fernando as team-mate – or not? SV: In general, you should be ready to race whoever comes along. I think Fernando has the reputation he has for many reasons, not just for two championships, for many other reasons, many races, many years he’s been around. So, y’know, I’m signing my contract, I’m not signing other people’s contract so it’s not my decision – but as I’ve said, I’m ready to race whoever comes along. I’m sure everybody is different: the team-mates that I’ve had, they were very different, not just as a person but also you can imagine as drivers: different styles, different strengths, different weaknesses. It’s all something that you share, a lot more open, and you can improve, probably make another step depending on who’s by your side. It’s always new input but I think the way we are setup right now, we find ourselves very happy and, as I said, the focus is on this year, despite the fact that for next year, there is nothing on paper but the mentality or the approach inside the team is that we want to focus on what we have in front of us. Q: (Ben Hunt – The Sun) Sebastian, on track battle’s one thing with Lewis, when it comes to psychological battle with him, do you think that you have the edge over him in that department? SV: It’s perfect for me then. If you don’t expect me to deliver anything, I can only win, so… I think obviously there’s some stuff that can be interpreted as psychological battles but I’m not into that at all. I love driving and that’s what I really care about. Whether there’s some signs or whatever that you pass back and forth. I think he has the upper hand, I’m not clever enough to interpret them, to read them. Q: (Iolande Skinner – Motorsport Monday) This is for Sebastian. Who would you like to be fighting in the last corner of the race – and why? FA: Fight with me… overtake on the straight. SV: yeah, it would be great to see you. I don’t know, the race is far away. I guess you’re referring to who will win the race so if we can be in that fight, up to the last corner, then that would be great. You can pick one, I don’t mind, as long as you pick me as the second one or first one, whatever, it’s fine. Previous Post Vettel: The winter feeling was good, but circumstances may vary.